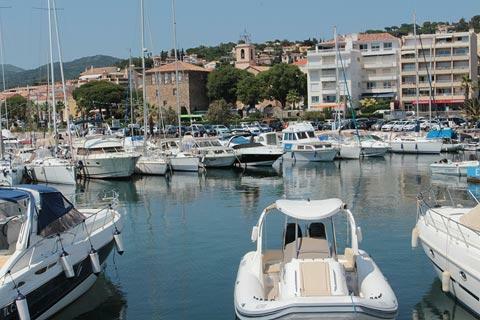 The resort of Sainte-Maxime is on the Mediterranean, on the north coast of the Gulf of Saint-Tropez which it faces across the water, and 15 kilometres from Frejus. 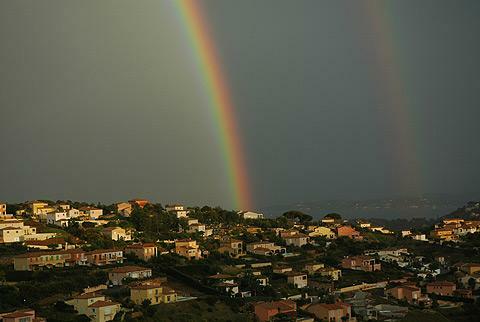 The south-facing town is backed by hills, so has almost the perfect Mediterranean climate - sunny and also sheltered from northerly winds. 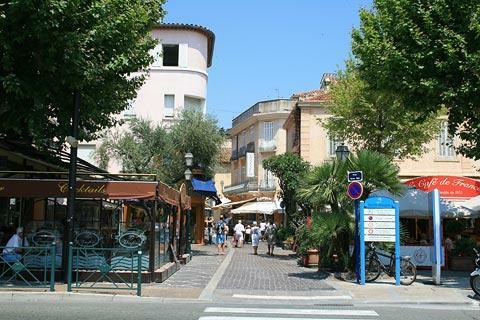 Sainte-Maxime itself has few things of great interest although the small old town is pretty, and a visit will pass a pleasant hour or so. 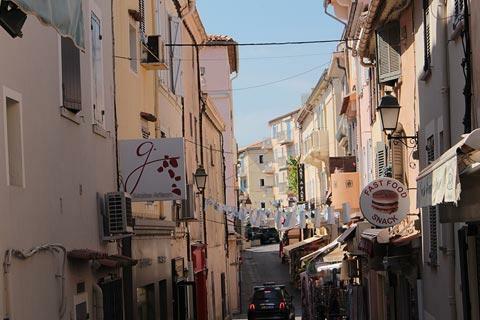 The small town centre is also very busy and lively in the summer and there are numerous restaurants. 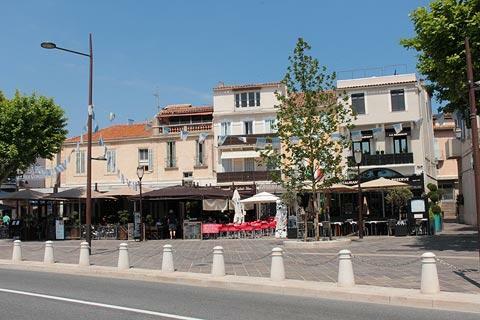 Although Sainte-Maxime is a pleasant town and makes an enjoyable break from the beach, and the walk around the port is very attractive, people don't visit Sainte-Maxime for the town, they come for the coast and sunshine! 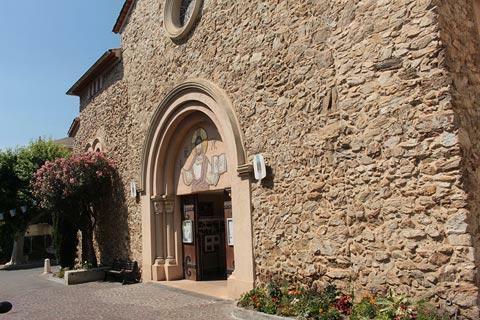 Among the attractions you will see the church and the Tour Carré with a small museum commemorating folk traditions in the area, the two monuments close together behind the port. 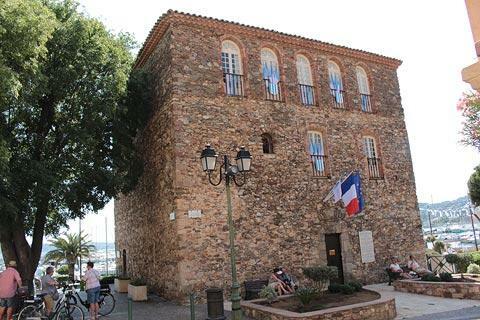 This tower was at one time key to the region's defences as cannon fire from this tower and also cannon fire from the top of ‘Portalet’ in Saint-Tropez on the opposite side of the bay acted as warnings for attacks by pirates in the Saint-Tropez bay area. 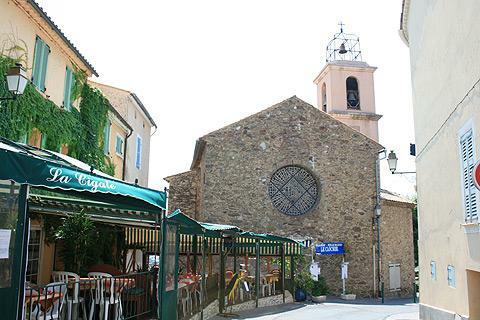 The tourist office for Sainte-Maxime is close to the tower, at the eastern end of the Plage du Centre Ville. 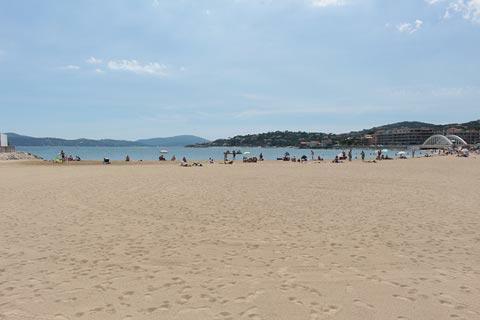 The main beach in the centre of Sainte-Maxime is nice and sandy and quality certified and there are lots of water sports to keep you amused, and many visitors will not feel the need to venture further when staying in the town. 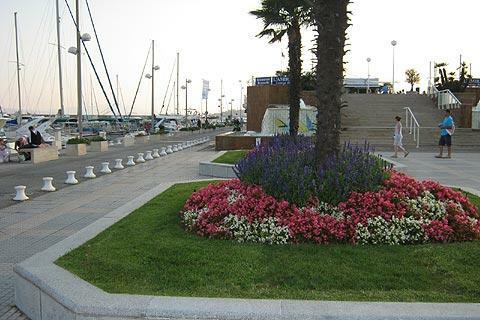 Close to the beach there are plenty of cafes and restaurants to relax in. 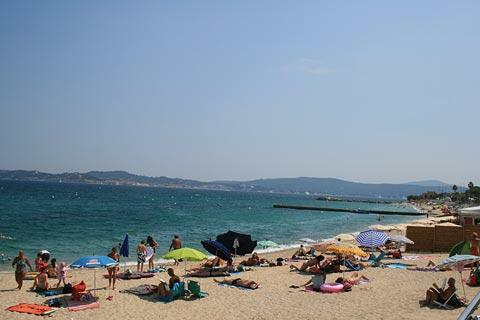 There are several other beaches close by, including the Plage de la Croisette a short distance south-west of the town centre and several beaches as you follow the coast towards Saint-Raphael including the Plage de la Mardrague, the Plage de la Nartelle and the Plage des Eléphants. 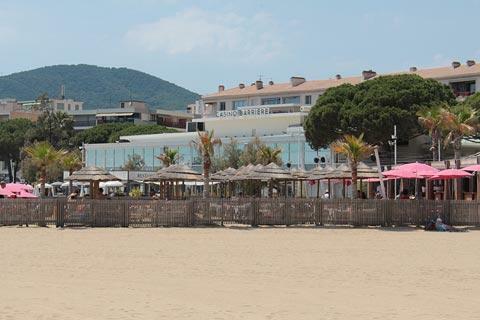 All the beaches are sandy, it is just a question of how far you want to go to avoid the crowds! 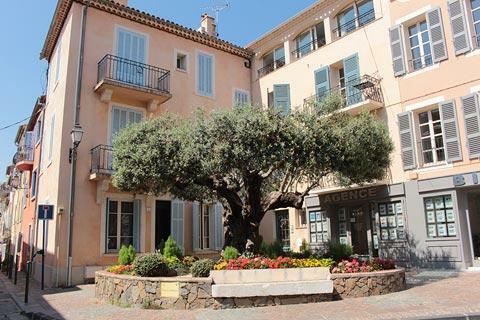 If you are staying in the area Sainte-Maxime is the largest of the towns on the bay of Saint Tropez and has a reasonable selection of bars, restaurants and hotels, as well as other shops and businesses. There is even an 18 hole golf-course complete with sea-views close by. 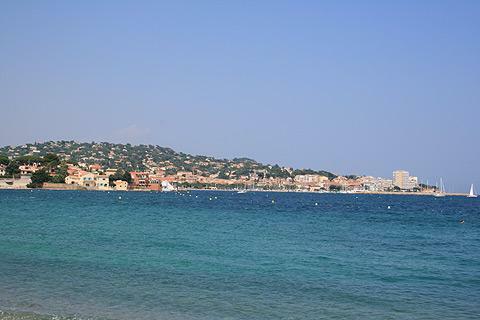 Those of you with youth and stamina will have no problem finding clubs and bars that will keep you amused until very late into the early hours, while for children Sainte-Maxime is home to Aqualand, a large water park with swimming pools and slides. 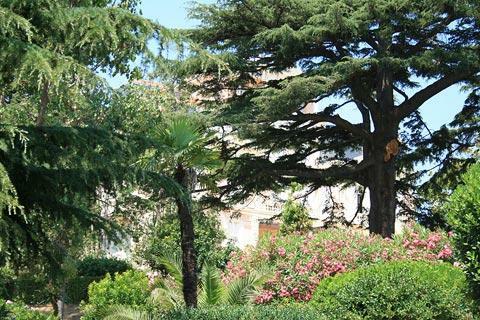 The town does boast a Botanic Garden although really it is just a park area - but it is just across the road from part of the beach and is a good shady spot to shelter from the sun. 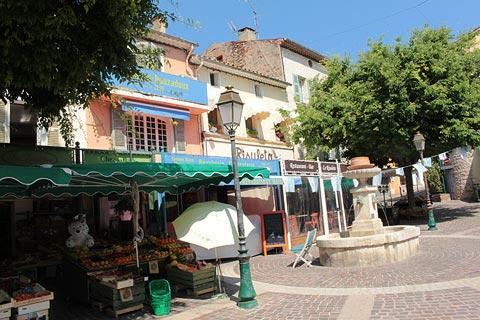 Market day in Sainte-Maxime is Thursday morning and there is a covered market on Rue Fernand Bessy every morning. 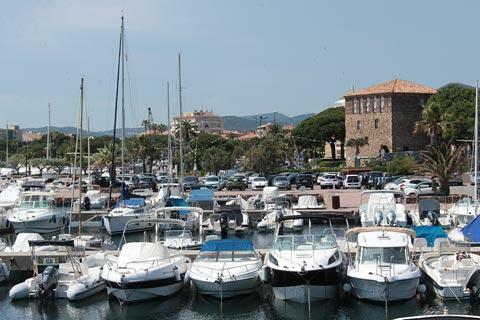 The resort of Saint-Tropez and the harbour town at Port-Grimaud are pleasant places to explore, while on the hills behind Sainte-Maxime a visit to the picturesque villages at Gassin and Ramatuelle are highly recommended. 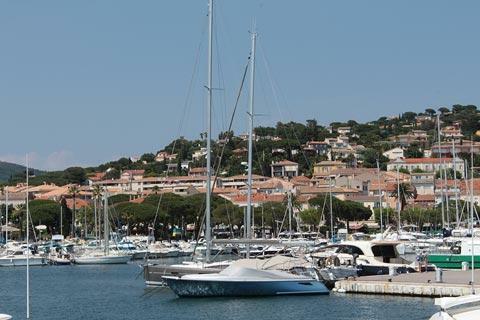 You can get a boat across to Saint-Tropez from Sainte-Maxime which is much more pleasant than facing the summer traffic along this part of the riviera! 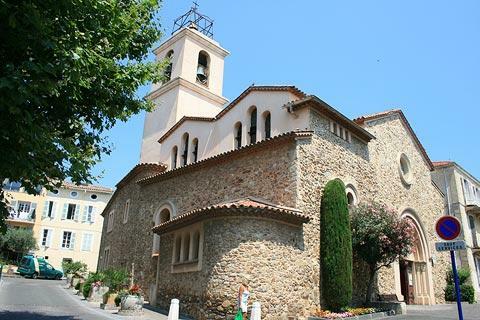 Sainte-Maxime is also one of the towns along the popular Route du Mimosa.